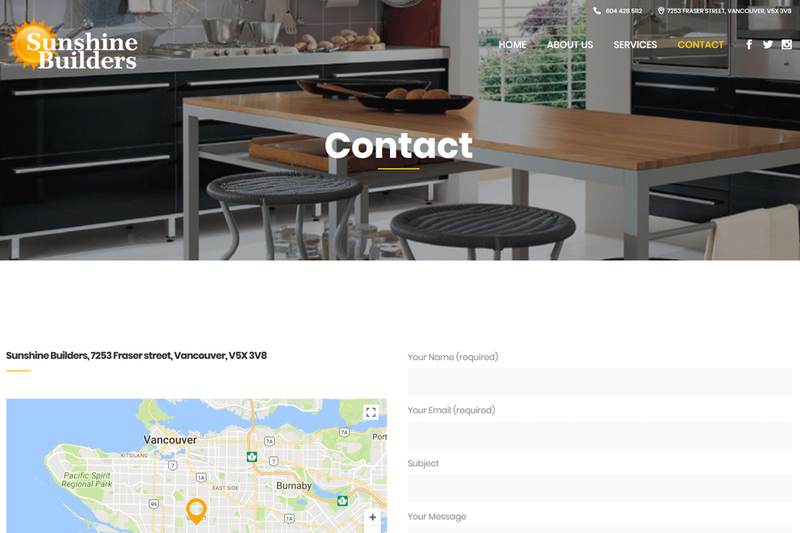 this website under our Affordable website design package. This is a building construction company in Vancouver, Canada. 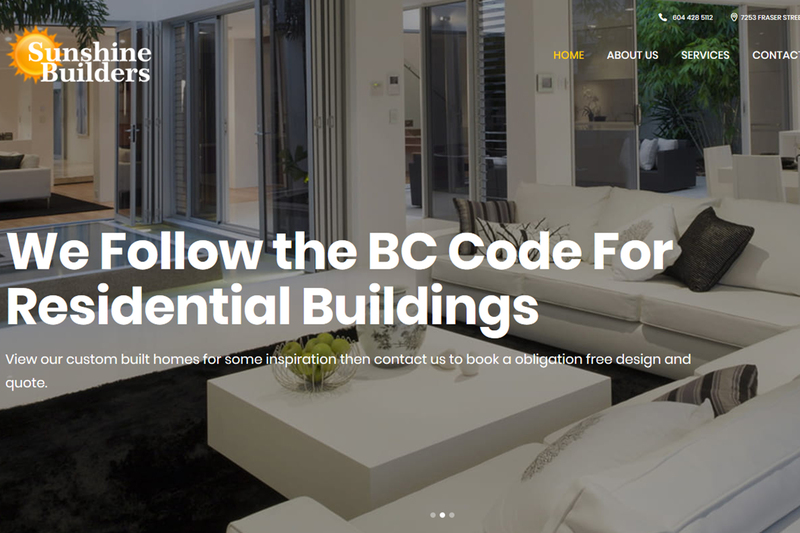 Sun Shine builders wanted design a simple but quality company website to reach out more customers and to provide a better customer service through the website. 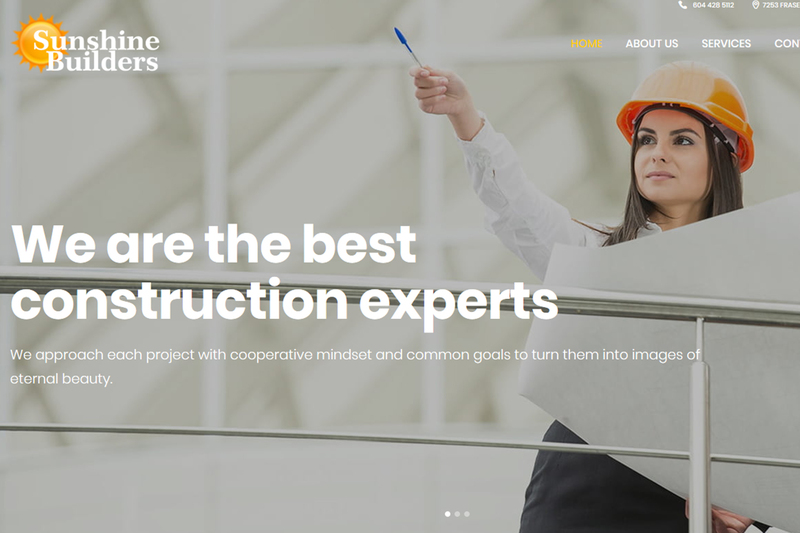 Our solution was to have a portfolio website design to include all the company information including a project gallery to showcase their construction designs. 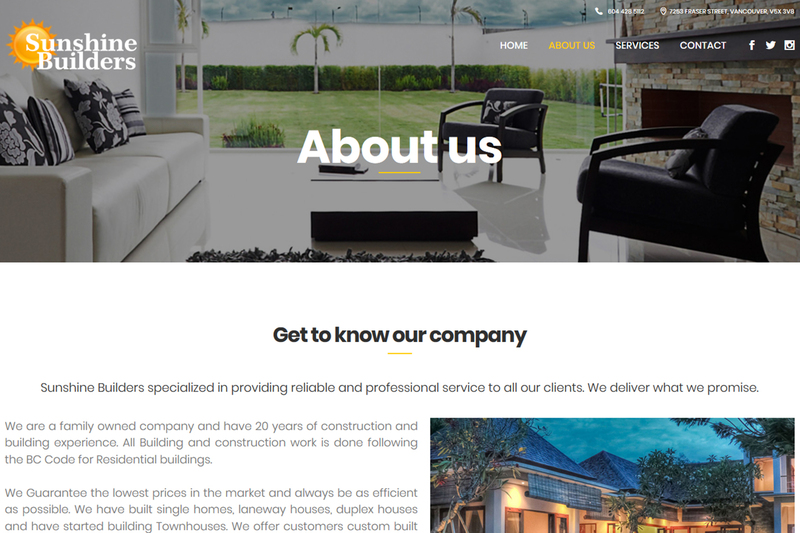 As the customer request, we used Wordpress to develop the Sun Shine Builders company website. Using access to the back end of the website the client has the ability to update the latest project section at any time. We have provided all the supports and guides that they need to know to maintain the website. The speed and website loading time is one of the main requirements which all our customers want. In this web design project, we managed achieve the loading time just under three seconds. The website is responsive and mobile friendly. Therefore, website browsers can have a fast and quality service. 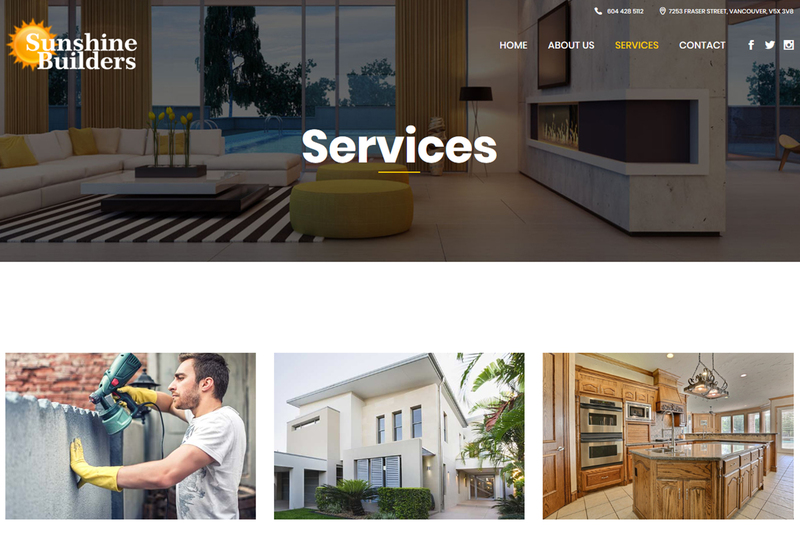 To design and develop a website like Sunshine Builders under our affordable website design package for your business. Contact My Cheap Web Design today.